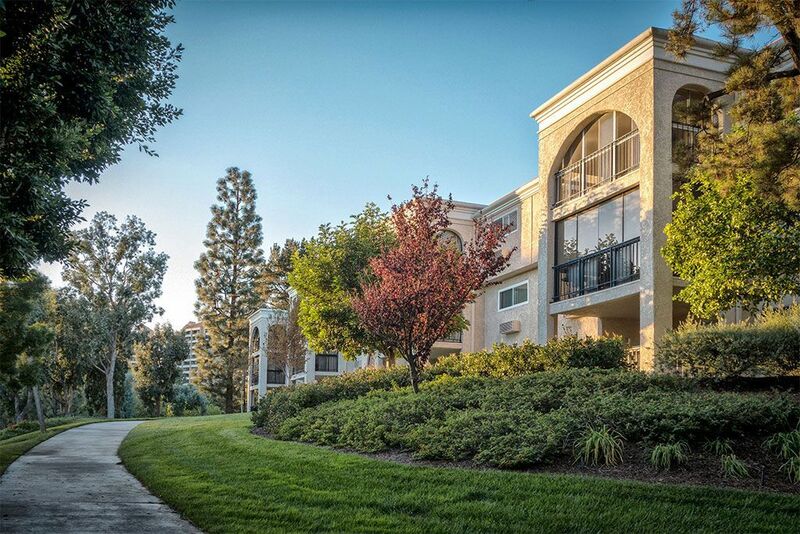 Laguna Woods Village is a guard gated 55+ community in Orange County, CA near Laguna Beach and the 5 FWY. When the community first opened in 1964, it was an unincorporated area of Orange County, and now it’s The City of Laguna Woods, incorporated in 1999. The City is actually more than 90% of its population is made up of residents from Laguna Woods Village, so Laguna Woods Village is a gated community, but so large it covers almost the entire city! When it first opened, we had 900 residents and now more than 18,000 people now reside in Laguna Woods Village. Laguna Woods Village is an age-restricted community as defined under California Civil Code §51.3. At least one occupant must be 55 years of age or older and all other persons who reside in the household must be at least 45 years of age, unless the other occupant is: (1) a spouse or registered domestic partner or (2) a primary provider of physical health care. 7 Clubhouses, 5 Pools & Hot Pools, 2 Fitness Centers, 18 Shuffleboard Courts (12 enclosed courts), 3 Lawn Bowling Greens, 3 Bocce Courts, 4 Paddle Tennis Courts, 10 Tennis Courts (5 lighted), 4 Pickleball Courts. Facilities located on the 3rd floor of the Community Center Computer Learning Center-PC Classroom, Mac Classroom and PC Workshop, Fitness Center and Table Tennis! Any person wishing to reside in the community must obtain prior approval from the Board of Directors. GOVERNANCE The governance of the community is organized under the California Non-Profit Mutual Benefit Corporation Law. There are four such corporations, three of which are mutual housing corporation (Mutuals) and the fourth is the Golden Rain Foundation (GRF). The Mutuals are responsible for services directly related to housing and common areas, and GRF is responsible for all shared community amenities including the bus system, security, clubhouses, swimming pools, golf courses, stables, and other recreational facilities. Ownership rights include a voting-membership to the Mutual and a non-voting membership to GRF. MUTUAL CORPORATIONS There are two types of housing in the community; condominiums and stock-cooperatives. Separate Interest – Condominium: the “separate interest” is commonly referred to as the air space of the condominium unit. Each member of a condominium owns an undivided interest in the real property. Owners of condominiums are issued a grant deed at the close of escrow. Separate Interest – Stock Cooperative: the “separate interest” is the exclusive right to occupy a portion of the real property, title to which is held by the Corporation. Members of stock-cooperatives are issued a stock certificate at the close of escrow. A landlord-tenant relationship exists between the Corporation and the members (shareholders). UNITED MUTUAL is stock cooperative housing comprised of 6,323 memberships. THIRD MUTUAL is condominium housing comprised of 6,102 memberships. All manors built in the community since 1968 are condominiums. MUTUAL FIFTY is a condominium association that is comprised of 311 memberships. Mutual Fifty consists of two high-rise buildings located inside Gate 10 off of Santa Maria. Dinner is included in the monthly fees. Room service and carry-out lunch are available at an extra cost. Weekly housekeeping is also offered at no extra cost. GOLDEN RAIN FOUNDATION maintains and improves facilities and services, acting as Trustee of the Golden Rain Foundation of Laguna Woods Trust. This includes, but is not limited to, cable TV, recreational facilities, a social services office, Security patrol, the bus transportation system, and the Laguna Woods Village Community Center. There are two classes of Membership in Golden Rain Foundation: Corporate Members are the Board of Directors of the three housing mutual corporations. Corporate members have voting rights to elect the Golden Rain Foundation Board of Directors. Mutual Members are the users of the services and facilities, but do not have voting rights to elect the Golden Rain Foundation Board of Directors. The monthly assessments are payable to Golden Rain Foundation. Each Mutual contributes a portion of its funds to GRF for maintaining community facilities, which are held in trust for their benefit by GRF under a trust agreement. All information from LagunaWoodsVillage.com and deemed reliable but not guaranteed. Check LagunaWoodsVillage.com for the latest info.